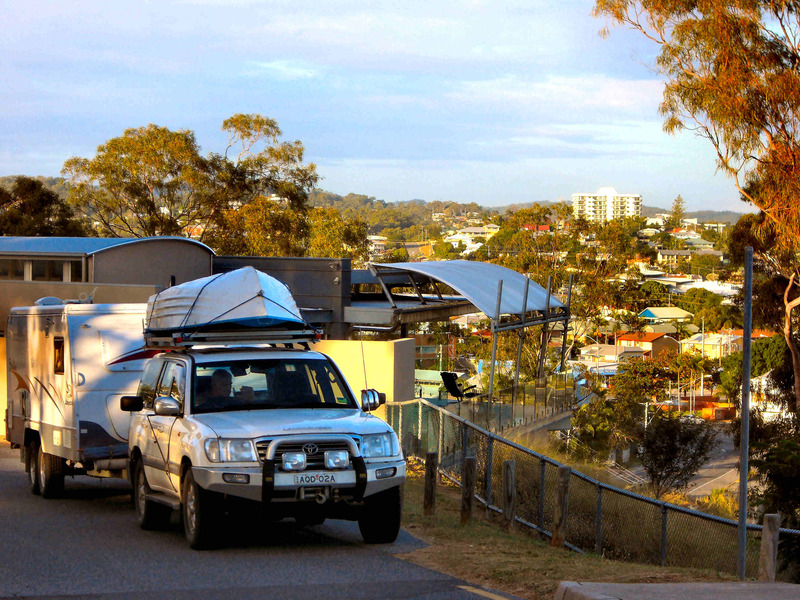 But, alas, we didn't get far and the mighty Togo had to go into the shop in Caloundra to have the Gas Conversion fixed. For some reason, it didn't want to run on gas and would only burn petrol, and in large lumps. Unfortunately, the man didn't know what was wrong, or didn't have the bits, or just couldn't be bothered (we couldn't determine which) and suggested we go a bit further 'up the track' to get it fixed. So we set off north, and, being "State of Origin" night, we looked for a club so we could watch the game on the big TV. that night one was to be had right there. We set up camp and then off to the club for a meal and to watch the game. 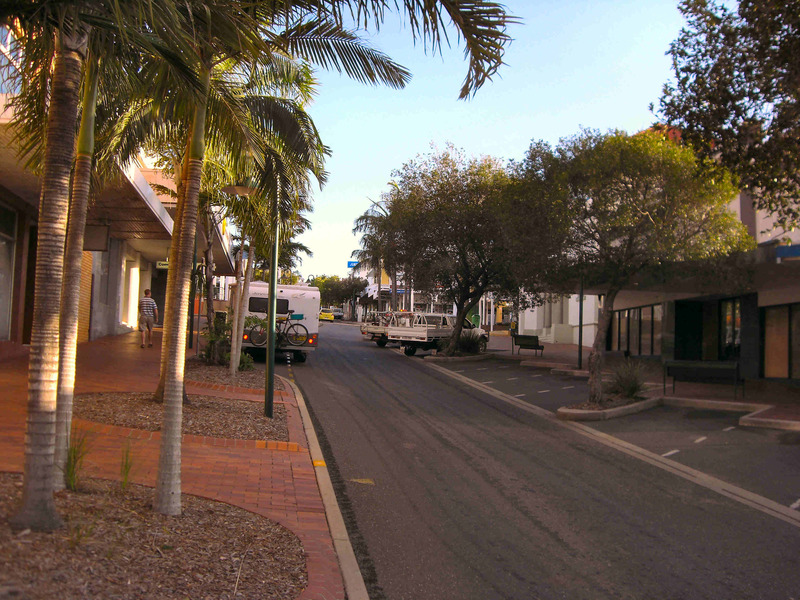 Main street of Gladstone, we found it a lovely clean city, not at all what we expected. 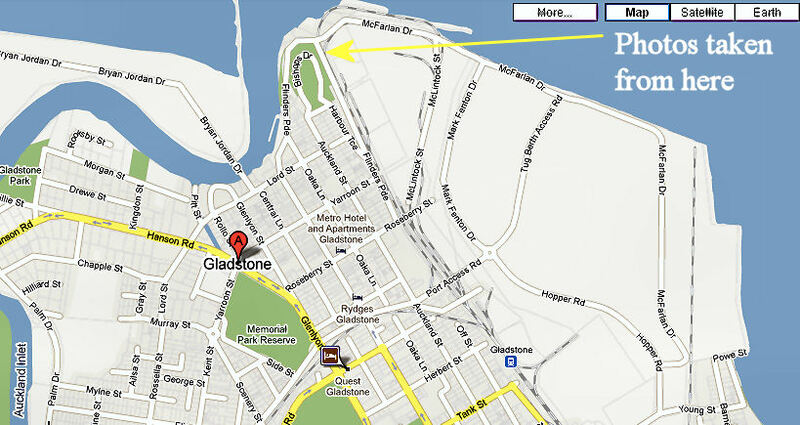 Looking back at Gladstone from Victoria Park. 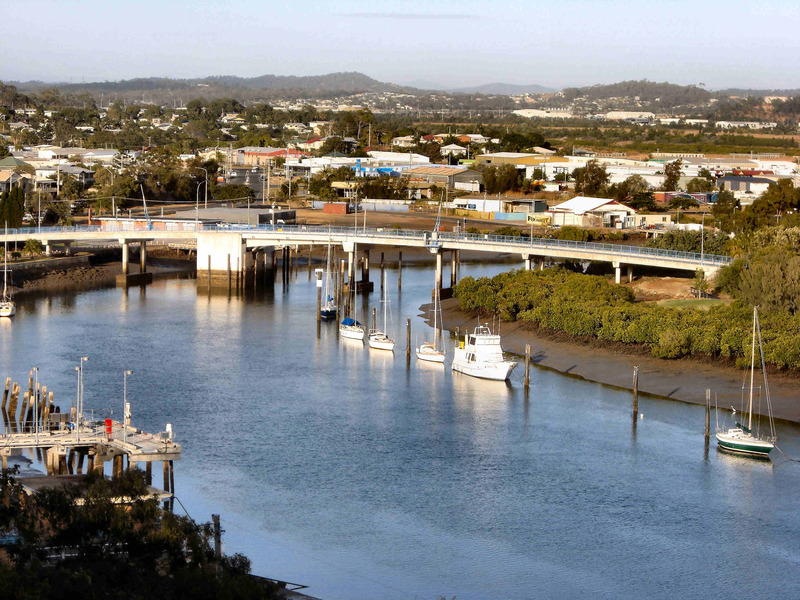 Auckland Inlet, the 'river' that runs through Gladstone. 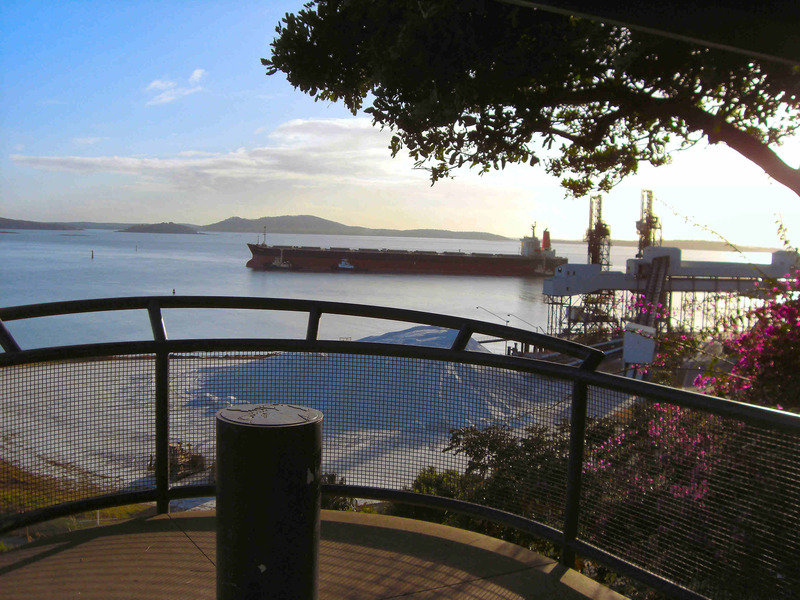 The mouth of Auckland Inlet, with the coal loading port in the middle right. 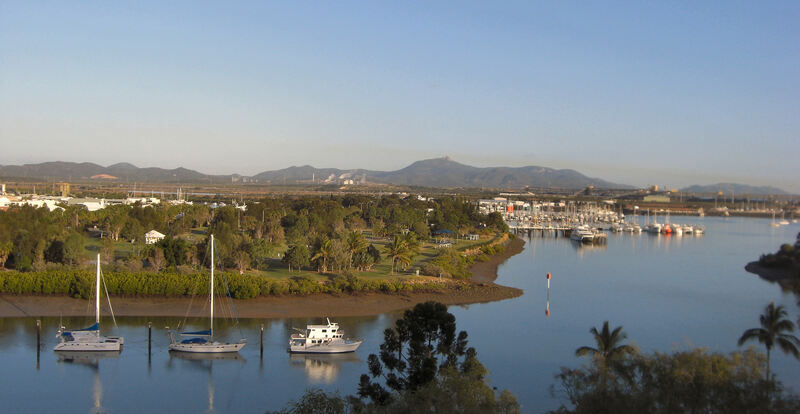 The magnificent Gladstone Harbour - a boaties' paradise. 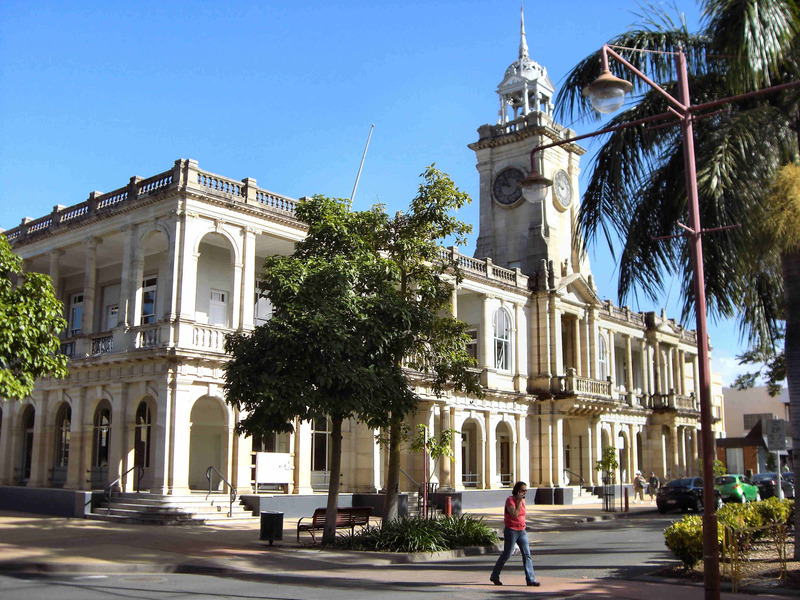 only to be told we would have to go to the experts in Townsville. So, as long as we were here, we decided to have a look around. 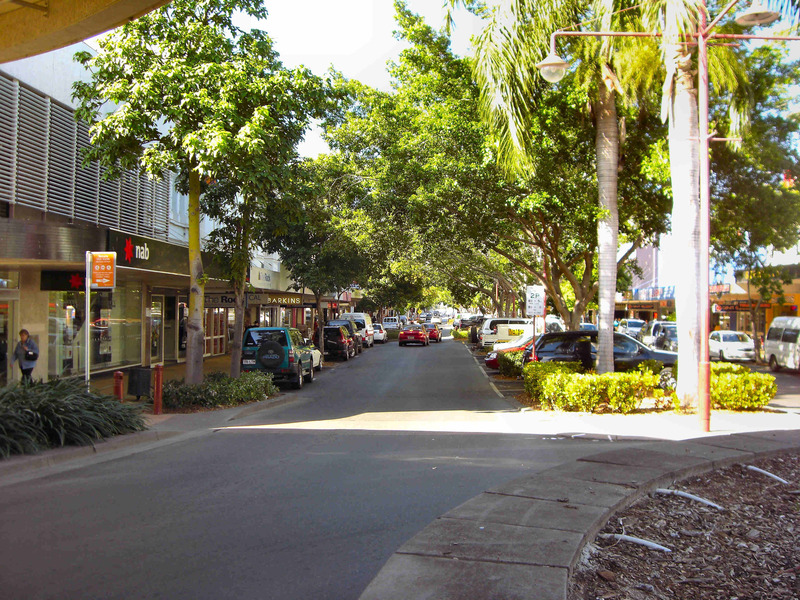 The main street of Rockhampton, looking west. 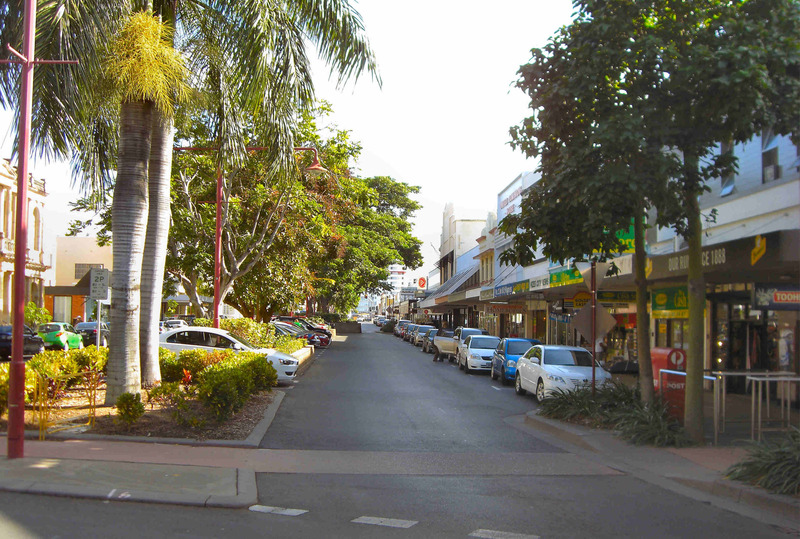 Main Street, Rockhampton, looking east. 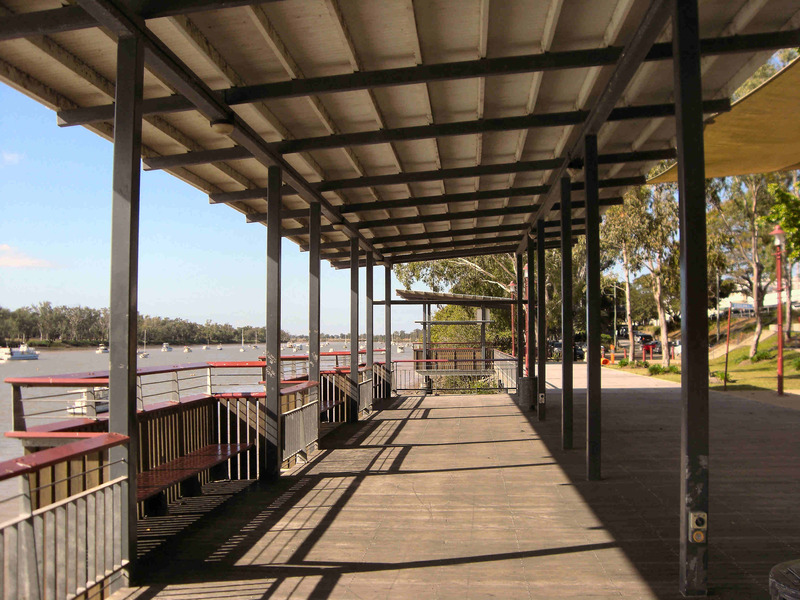 Boardwalk along the Fitzroy River, Rockhampton, looking west. 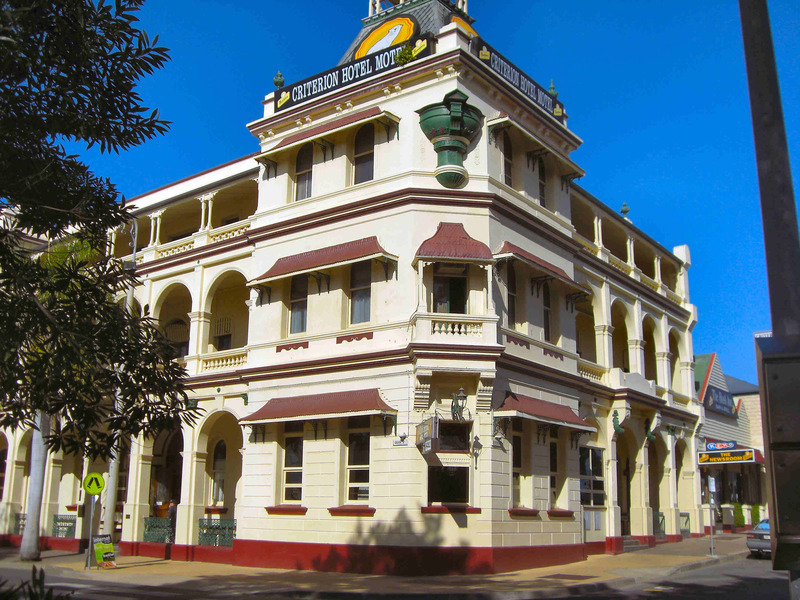 The Criterian Hotel, on the Fitzroy River at Rocky. It was here that we stayed for 4 weeks, back in 1968, when 3 Caribous were detached to Shoalwater Bay to supply the Army who were war training. 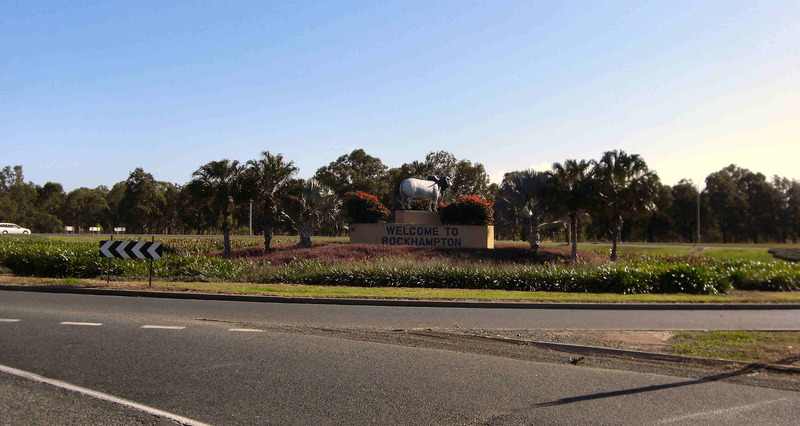 The officer in charge of the RAAF detachment deemed the Shoalwater Bay tent accommodation was not 'fitting' for RAAF personnel, so we all lobbed into the hotel - and, what happened at the Hotel stays at the Hotel. 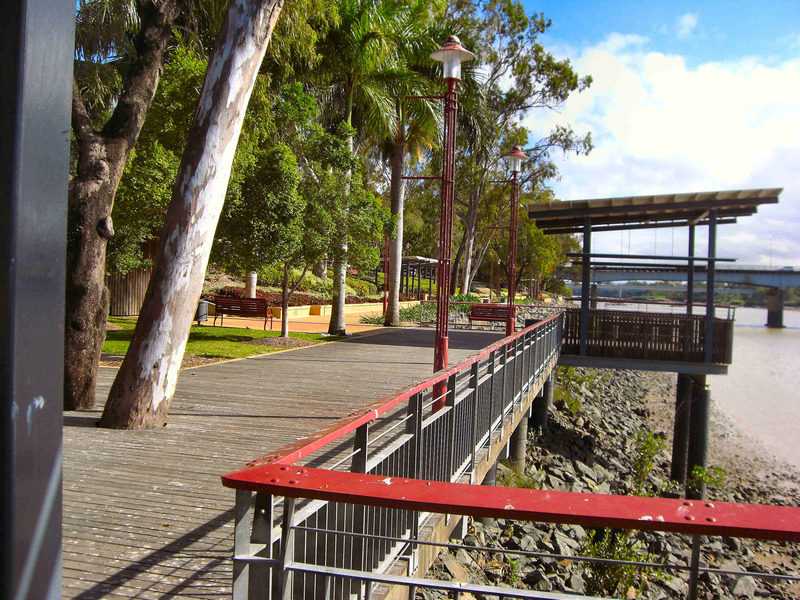 So, as we couldn't get the Tojo fixed in Rocky, it was off to Townsville.